As soon as I saw the 'Nostalgia' range by My Mind's Eye I bought in most of it! The papers have a beautiful vintage feel to them whilst still being pretty colours. There are 7 sheets of the Nostalgia range in this month's kit together with a sheet of die-cuts and therefore I've managed to get three layouts from this one range. I've used just two little photos for my first layout and I've utilised a few of the die cuts - strategically covering up some of the wording that didn't suit my photos. My second layout uses a really huge photo - it started off as A4 but I've trimmed it down a bit.I didn't need much embellishment because the photo takes up so much room! Again I've covered up some of the wording on the die-cuts that didn't suit and still ended up with a layered look. and I used up the rest of my papers on this final layout. I made my own little tile alpha stickers but cutting small rectangles of paper and writing in the lettering. 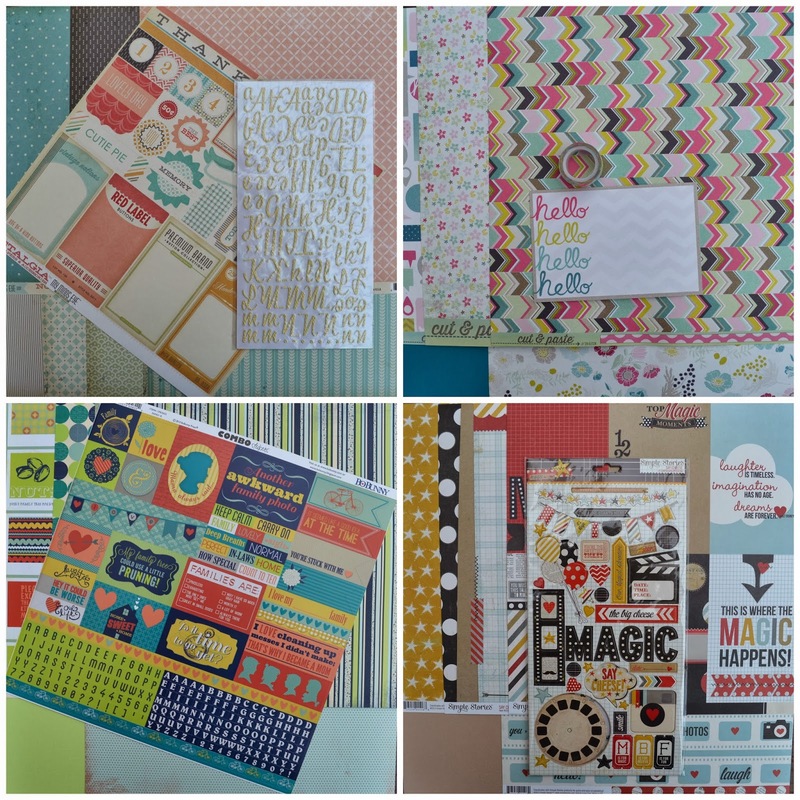 and here is Kirei's layout using these supplies, check out her blog for more details on how she made it. Simple Stories 'Say Cheese' chipboard element stickers. Hi. I’m Niki, it’s nice to meet you. I love to play with pretty paper and make pretty things. November's Have I Got Scrap for YOU! November kit 'Timeless' is now on sale!